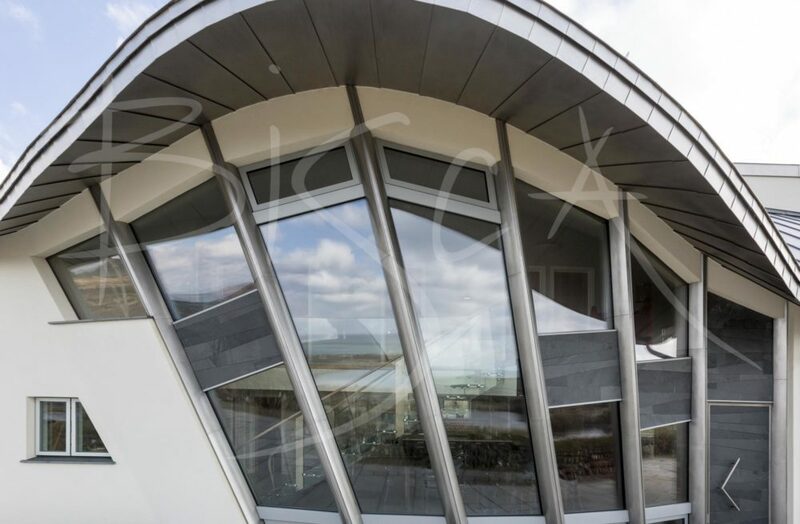 A structural glass staircase, canopy and steel cladding for a property in Wales.The organic property design uses structural steel columns to mimic the ebb and flow of the tide. 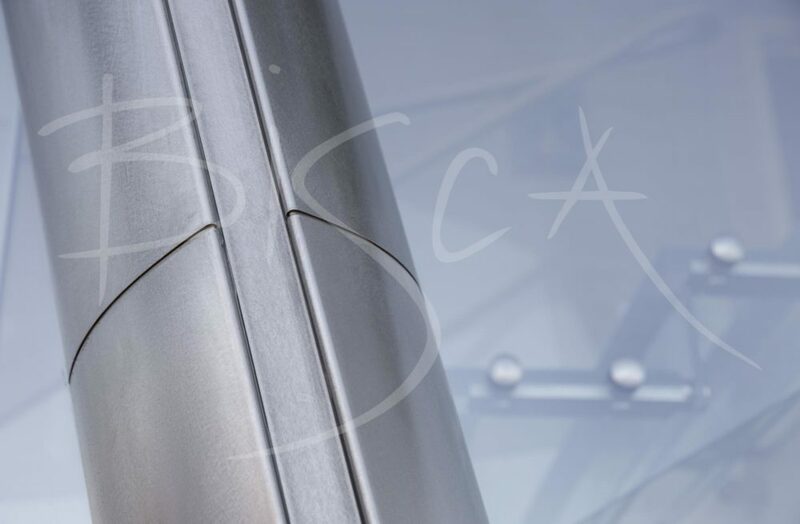 The architect struggled to find anyone who could clad the columns in steel, so Bisca stepped in to assist. Visible both inside and out, the columns are of marine grade steel with penny gap detailing. 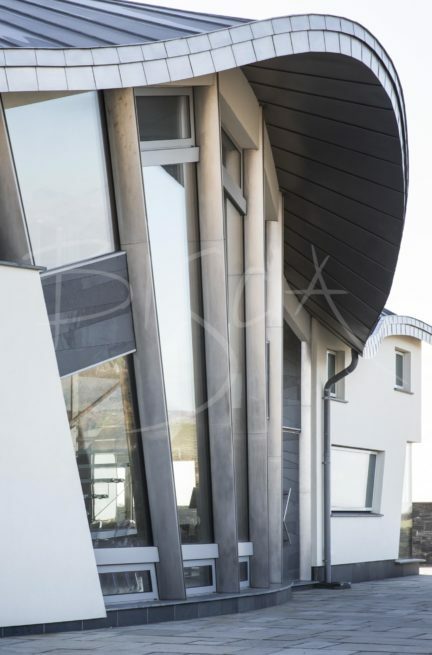 The penny gap detail, although discreet, follows the flow of the roof-line and helps with the organic style of the frontage. A perfect example of a staircase designed in empathy with a property. 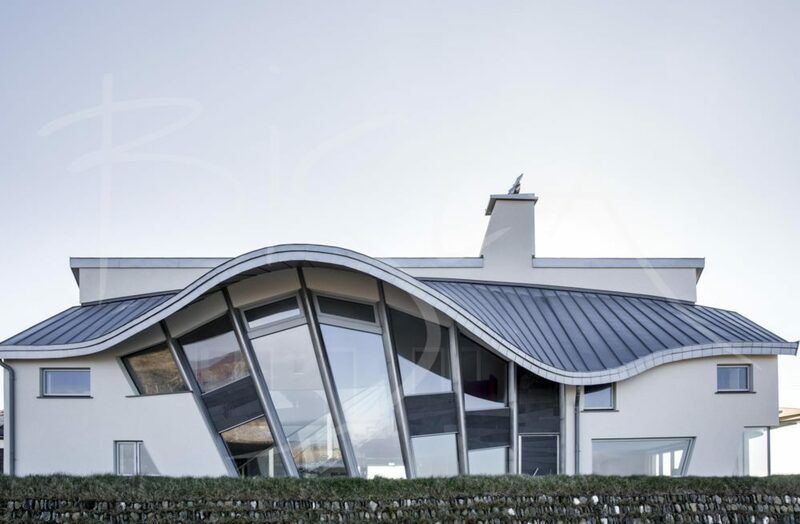 The prestigious family home, perched high on the coast, enjoys amazing views of the Irish Sea. The design creates a sculptural feature yet does not detract from the vista outside. Triple laminated, low iron glass treads are supported by a structural glass balustrade. A hand polished oak handrail flows continuously from the swept back newel, up the stair and around landing edges. Another part of this project was a spectacular seaward facing canopy. Designed by Bisca, the canopy creates an outstanding feature viewed from all aspects.